Welcome to the American Women's Club of Thailand! Are you new to Bangkok? Or moving here soon? 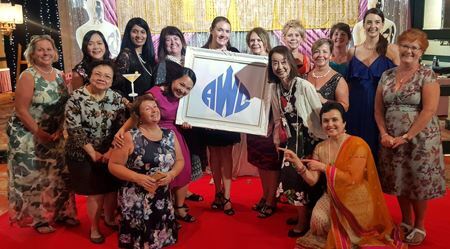 The American Women's Club of Thailand offers just what you need to feel at home ~ whether it's seeing the sights, learning something new, making friends, contributing your time to worthy causes, or just having fun ~ there's a place for you at AWC. Let us help you make this amazing city of Bangkok the best experience of your life! Any woman living in Thailand, any nationality, is welcome to join our organization. 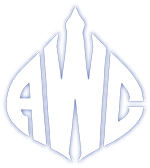 To become a member of AWC, click here. To learn more about AWC, download the flyer. The AWC and its members are very involved in the local community. We believe each of us can make a difference! 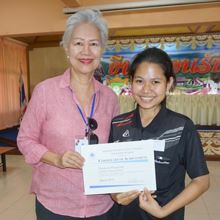 Our Scholarship Program awards more than 2 million baht annually in scholarships to at least 400 students in 31 targeted schools across rural Thailand. To learn more, visit this page. To support a student now, click here and follow the steps. Did you know? The Scholarship Annual Newsletter has been released. This year's edition contains coverage of our students, sponsors, school visits, English Camp and much more. Download and enjoy! Our members love to take advantage of a variety of club activities, such as book club, lunches, classes, or local outings. (View the Calendar of Activities) Please contact the AWC Board & Committee members if you have any questions or just want to know more. OUR WEBSITE! Members can update their information, view other members in the online directory, and sign up for club activities. All this and more, with AWC Online. Contact the Online Team if you encounter problems, broken links or you just want to make a comment. Lotus Painting Workshop, Wed, April 24th ~ Let loose your creativity on a special type of canvas with real lotus leaves. Brown Bag Book Club, Tues, April 30th ~ Join us for discussion about this month's book, "The Reluctant Fundamentalist" by Mohsin Hamid. Pretzel-Making Class, Wed, May 8th ~ Whether soft or hard, there is a pretzel for everyone to enjoy. Come learn how to make them. Goodbye Lunch & Membership Meeting, Fri, May 10th ~ join us for buffet lunch at Maya with friends and a casual business meeting. Casual Connections ~ Every Monday (10:00–11:30am) in The Living Room at the Sheraton Grande Sukhumvit, BTS Asoke. Tennis ~ Every Thursday (7:30-9:30 am) with the ANZWG ladies IT'S BACK! Did you know?? AWC offers online payment via PAYPAL for events and activities as well as new memberships and membership renewals! Click here for more information about your payment options.